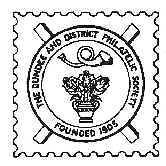 10th November Visit from Falkirk & District P.S. 17th November Visit to Aberdeen P.S. 9th March Visit from Stirling & District P.S.